Today, on the benchmark: Le VPN. It’s provided by a company of French people based in Hong Kong. Launched in 2010, it’s been on the market for some time now. They focus on protecting your connection and bypassing Internet restrictions. To achieve this, LeVPN offers HybridVPN servers to simplify and speed up the streaming of geo-restricted content. Let’s go for this Le VPN review. One of my Italian readers who lives in the United States, has an English wife. And he told me that she’s using this provider to watch BBC iPlayer outside UK and other English channels. 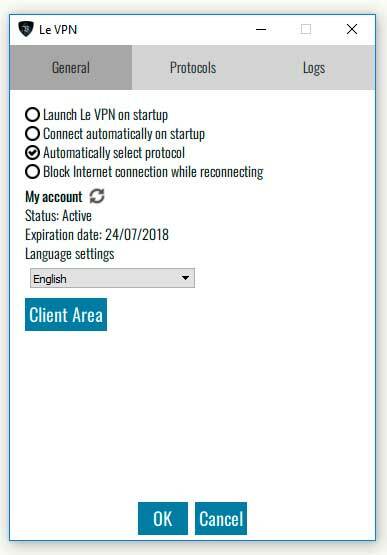 Since it’s the first time I find a VPN that has specific features for a particular language group, I decided to write this Le VPN review. And it ended top be in my top 20 VPN. 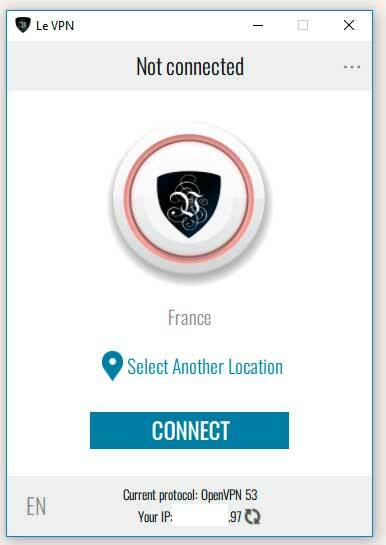 Of course, it’s a French company that provide this service. But I guess you already knew… And their exclusivity is in an innovative HybridVPN protocol. 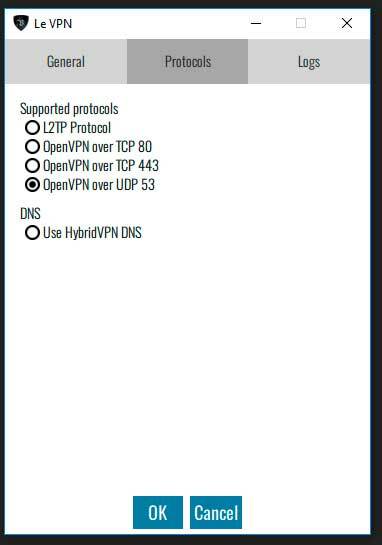 What is HybridVPN? It’s an OpenVPN connection with SmartDNS. With this connection you unblock restricted content. It means you can watch American Netflix in the UK and BBC iPlayer from abroad. And this whether or not you chose a server in the US or in the UK. Nothing too fancy here. Their offer is in the average price range. While the cost of a one-month subscription is higher than the general average of market prices. The price of the annual subscription is even below the price of the most expensive VPNs. Click on the picture to get the latest promotions. Because I do my best to keep this Le VPN review up to date. But new discounts are often available. And to help you make up your mind, you can try their service for 7 days, risk-free. Thanks to their money back guarantee policy. Then you’re satisfied or refunded. Once you launch the application, you land on the main screen. And you’ll see they really improved their client. Since my last LeVPN review, they’ve ended their collaboration with Viscosity. Indeed, users get a native app with a sleek design. Also, the list of servers is easy to browse by region and by country. When you connect to a VPN server, it remains in your Recent tab. So you can find it again easily. And you can add all the servers you want to your Favorites. If you want to find a list of servers for file sharing and P2P, it’s listed in the By region tab. First of all, it’s good that I refreshed this LeVPN review. Because there has been major updates on the client, as you saw above. And the options have been impacted as well. The basic options are still located in the General tab. But the advanced have been removed – no big deal, there weren’t that interesting. In particular: You can start the client at the computer’s start-up and connect automatically. Also, you can activate the kill switch feature (by blocking the connection while reconnecting). So it’s a positive point if you like to download torrents. 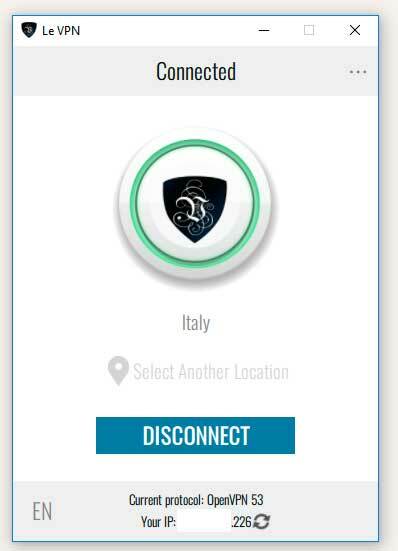 While in their previous client you needed to select a VPN protocol each time you wanted to connect, that’s not the case anymore. And you can select the protocol once and for all in the settings. They’re offering new apps on iOS and Android. And they’ve been revamped with the same design as the Windows app. So it’s much better. But the only thing is that there are only 2 multi-logins, which is peanuts… And you can only cover 2 devices: Your PC and a smartphone. As I said earlier, they provide a free access to a SmartDNS service (like PureVPN). But this service is only available for the American, British and French channels. You can obviously unblock the channels from other countries with their VPN servers. But not with their SmartDNS service. If your primary need is to access UK Netflix. Or if you need to unlock US or UK game servers on PlayStation and Xbox. Then this service works very well. On their site, there is a page where you can register your IP address. Then you’ll receive the SmartDNS information and the guides to configure them. While it’s a good feature, it’s also a pain in the a**. Because when you change your IP, the service stops working… Maybe plan to use a static IP address. Last point of this Le VPN review: Keep and eye on their website. 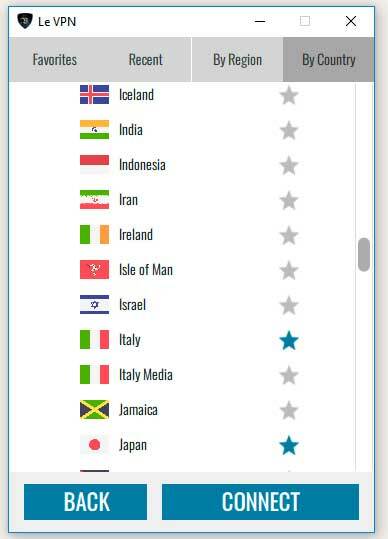 It seems that they’re adding new countries for SmartDNS. Today, on the benchmark, Le VPN. It's provided by a company of French people based in Hong Kong. Launched in 2010, it's been on the market for some time now. They focus on protecting your connection and bypassing Internet restrictions. To achieve this, Le VPN offers HybridVPN servers to simplify and speed up the streaming of geo-restricted content. Le VPN is a good VPN solution mostly for the HybridVPN server countries. It is suitable for all those who need an easy-to-use VPN to watch streaming TV and bypass censorship. At home or abroad. The price is decent for the service.